Learn the technique of Stained Glass with this easy placemat! 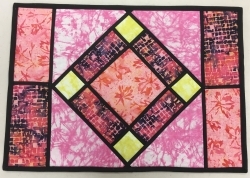 In this class, we will use a basic pattern to create a stained glass looking placemat. We will go over different methods to add the "lead" on your fabric glass. 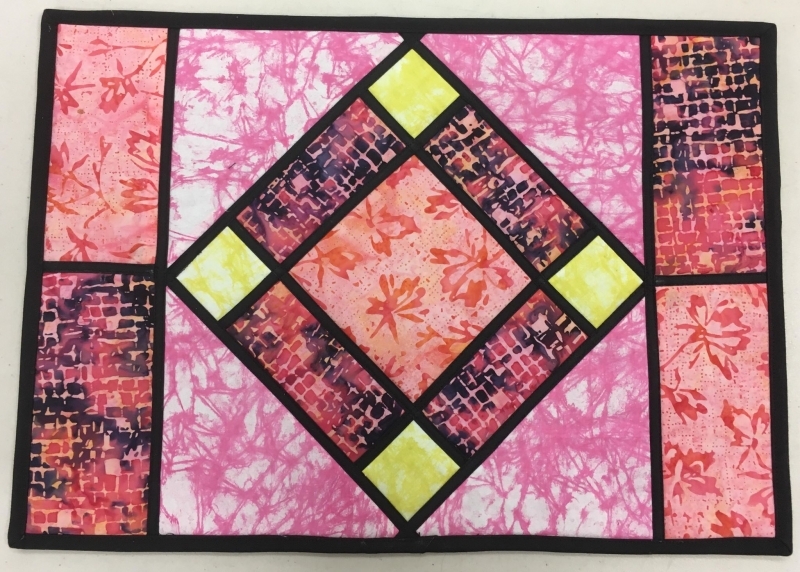 This class will make 2 placemats, and you will have the option to pick up the pattern for the matching table runner. All Materials must be cut out before class. From Fabric 4: (4) 6.5" Squares, subcut once diagnoloy, leaving 8 triangles.